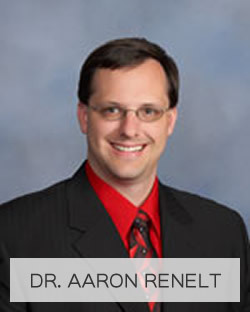 Our mission at Renelt Family Chiropractic is to provide our patients with high quality, affordable health care in a caring, comfortable and professional environment. What’s the best way to choose a chiropractor in Fargo? You’re doing it! Spend some time here exploring our chiropractic philosophy and our patients-centered focus. After you tour our website designed for Fargo-area residents searching for a chiropractor, give me a call. I’d love to meet you and explain our unique approach to today’s chiropractic. I threw out my back on a Saturday and by Wednesday at noon I was barely walking without a great deal of pain. My boss referred me to Dr. Renelt and they fit me in the schedule within 2 hours and after the appointment I was upright and walking much better. I’m a patient for life for all my chiropractic needs! Thank you Dr. Renelt & stafff! I had a wonderful first experience! Everyone was so friendly and especially willing to help. Not to mention I was seen 15 minutes earlier than my scheduled appointment. I will definitely be going back in the future! I have already started referring others to see Dr. Renelt. Thank you for the extremely positive experience! I was a little anxious about seeing a new chiropractor but Aaron was very understanding and went at a pace I was comfortable with while explaining everything in detail thanks so much. For a First time experience it was great.